Buy1sell2 Run.... overall market is very weak.........keep your cash. bowman Good results coming in two weeks. Wuzy PE 40 is quite high, ROE 0.03% is terrible. So for now no people interest buying this stock. Buy1sell2 Run...I mean sell. School holidays coming soon. Market already on holiday. Will not be able to move without strong volume. Wait below 20 sen.
bowman 221% increase in profit! Buy1sell2 Better sell and wait for it to go below 20 sen. The market is just too volatile. somchik Mau collect kaw kaw like lagi kikiki kasi juai lagi lor talak goyang pinye ..
Dragon88 is there a future for this counter ? Trevor89 Wow, hit 4 months high. commonsense Systech’s revenue has grown by an average by a whopping 28% per annum since 2012. However, profit could not follow suit with average growth during the same period of only around 2%. This show that any revenue increased achieved by the company will be at the expense of its profit margin. In year 2012, the PAT margin was a high of 36%. In year 2018 it was only at 9.3%. At the current share price, the company is valued at an extremely high PE of 40x. Given the profit growth rate of only 2%, the company can be considered highly overvalued. 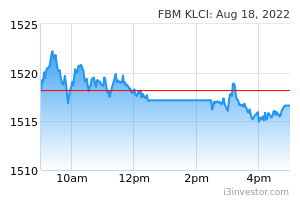 MBMR is a direct proxy to Perodua via its 22.6% interest in the company. Valuation is cheap at only 6.6x PE based on FY18 profit of RM166mil. PB is low at only 0.7x BV.